Several years ago, I wrote this report on the request of some industry pals, regarding a “manga” business seminar given by a prominent non-Japanese company in the field. I have changed all the names to protect the guilty. So I had a very interesting and quite enjoyable time at the Manga Seminar at the Yamato Foundation today. I suspect as well, that once SuperManga had got over the realisation that they weren’t going to just do a sales pitch to a docile crowd of consumers, they rather enjoyed themselves, too. Mr Moderator got up and exhorted everyone to just stick up their hands and ask questions whenever they felt like it, because “after all, this is a seminar”. 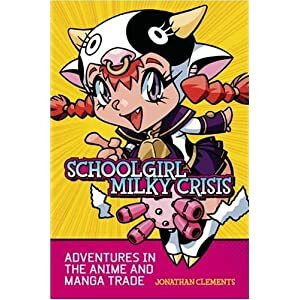 Dave Smith and Jimmy Jones (not their real names) seem like perfectly affable, intelligent people who know their material well, and have a reasonable grasp of the history of manga since about 2001. They seemed unaware of developments and innovations before that date, but it was difficult to tell if that was the usual wilful ignorance of the SuperManga Reality Distortion Field, or if they were simply uninformed about anything that was not of immediate concern to their company and their own roles in it. Jimmy, for example, was prepared to imply, or rather to allow his audience to infer, that SuperManga had invented back-to-front printing in English, and that SuperManga was “taking comics *to* Japan”, as if this wasn’t something that had been going on when he was still at school. I found them both very likeable. Their sole shortcoming appears to be years and years spent addressing crowds of gullible sales clerks and Party faithful. If it had just been the three of us, I am sure we would have had a whale of a time, since they could have dropped the silly SuperManga TAKING THE WORLD BY STORM pretence, and discussed several serious issues within the manga field, which they had clearly pondered in the past. I felt almost guilty subjecting them to due diligence, but to be totally honest, Jimmy’s first set of statements were founded on such vague figures that my hand shot up of its own accord. This was supposed to be a business seminar after all, and I predicted that it would become a SuperManga love-in and pseudomanga pitchfest unless I kept it on track. So, I asked a “statistical question”. How was it that their market share was 80% on the Power Point slide in front of us, but only 65% in Jimmy’s own notes. Was the Power Point slide out of date? Yes, he conceded, it was. “But that wasn’t actually my question”, I added. “My question was: If your market share is now 65%, it is 65% of WHAT? Of the comics business?” No, said Dave jumping in here, manga are not the same as comics. “What’s your name?” asked Dave. “And you’re from…?” he asked, guardedly. “I’m a member of the public,” I said. At which there were several titters at the back, and even the moderator couldn’t help stifling a giggle. I heard some excited rustles from somewhere behind me, with the room now divided into people who knew exactly who I was, and people with no clue.